I found Silani Mozzarella at a Michael-Angelo’s Supermarket near my home. I was doing some shopping and Mozzarella was on the grocery list. My daughter was making calzones for dinner and mozzarella was a key ingredient. I browsed the cheese selection for Mozzarella and there were many choices. I suddenly realized that mozzarella is a cheese that I have taken for granted. My family has mozzarella cheese often, on home made pizza or calzones. It is nearly a staple in our house. I know a lot about many cheeses from all over the world, but I don’t know anything about Mozzarella. I just eat it, and enjoy it. I tried to figure out a criteria to evaluate the different brands of mozzarella. I wanted to make a good purchase decision. I struggled. After pondering for a while, I decided on a differentiator … price. The Silani Mozzarella was on sale. I figure all mozzarella is basically the same. Silani Mozzarella, by default, is now my benchmark mozzarella. The next time we need mozzarella I will pick a different brand of Mozzarella to compare. 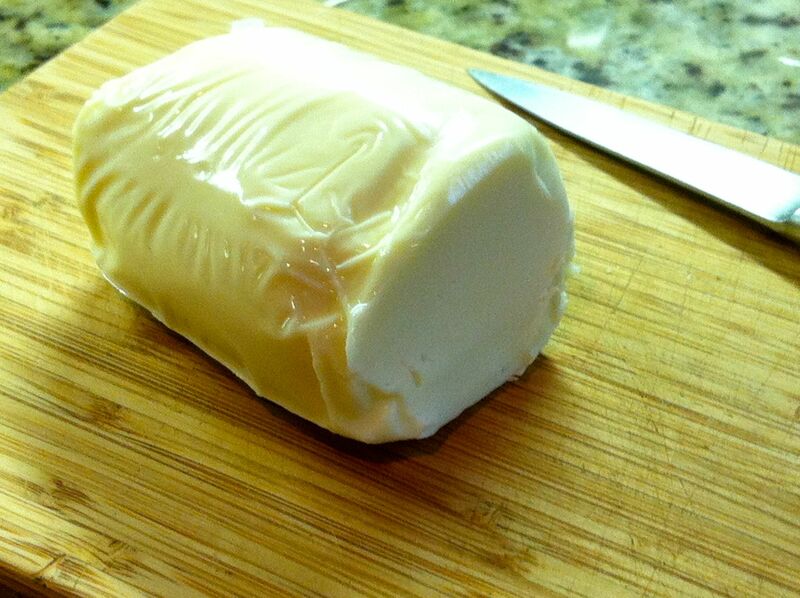 I will take pictures, pull the cheese apart, smell it, tug it, roll it in my fingers, taste it and melt it. I will scrutinize each different mozzarella. I want to determine if there is any real difference between Mozzarella brands. Perhaps I will discover a brand favorite. 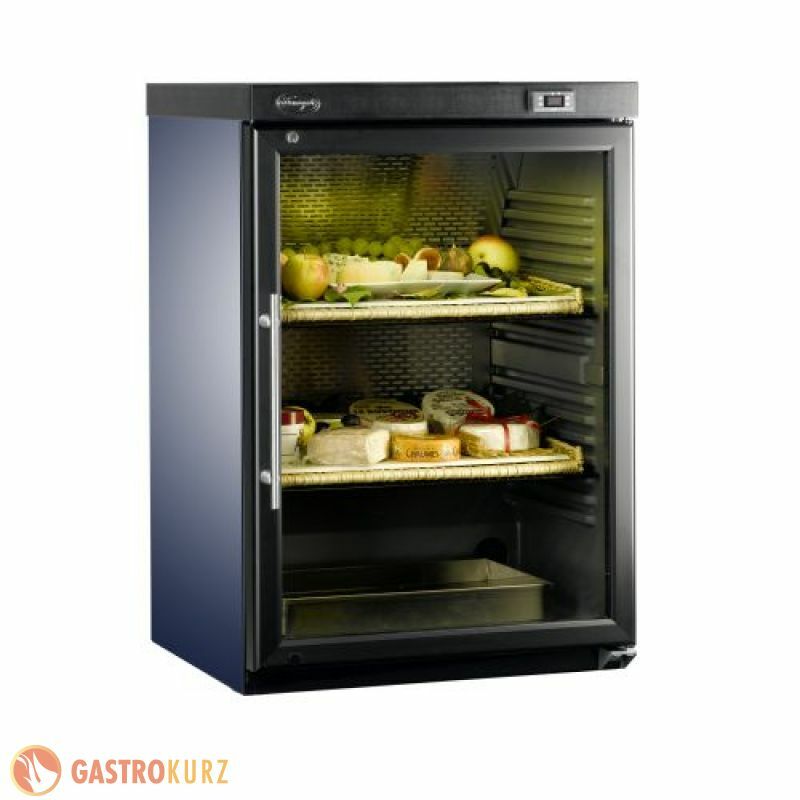 This review is for Silani brand mozzarella. When I removed the Silani Mozzarella from the vacuum package it was shiny and oily on the outside. It looked artificial. I cut the end off. The inside looked much more appetizing. The inside was a nice dull blonde. Mozzarella does not have a rind. Right out of the package this cheese did not have much smell, but once sliced, it revealed the familiar smell of mozzarella cheese. Next I pulled the mozzarella into strands. The Silani Mozzarella was very stringy as I pulled it apart into chunks. These little cheese strings smelled good. They had a nice texture and they looked very appetizing. Mozzarella serving secret #1. Pull it apart. 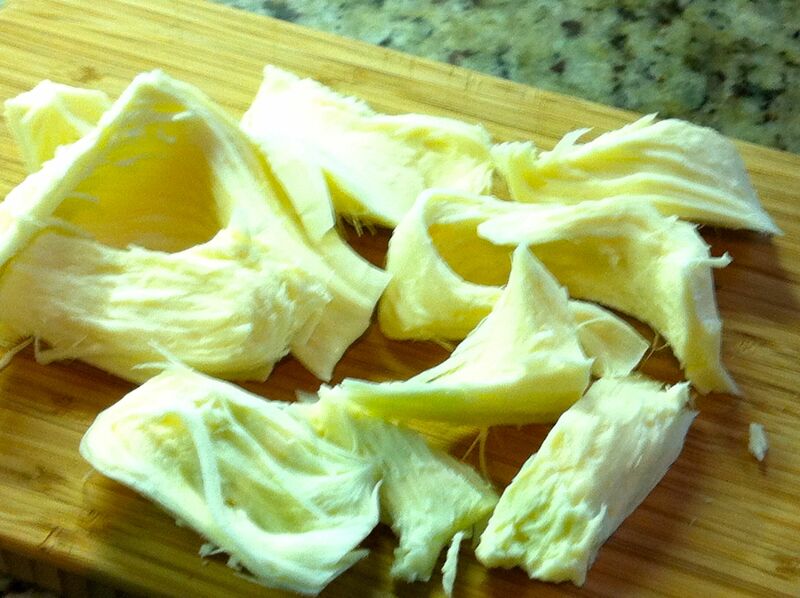 My kids did not have much interest in eating the mozzarella … until I pulled it apart. Suddenly it was a snack, and a good snack at that. 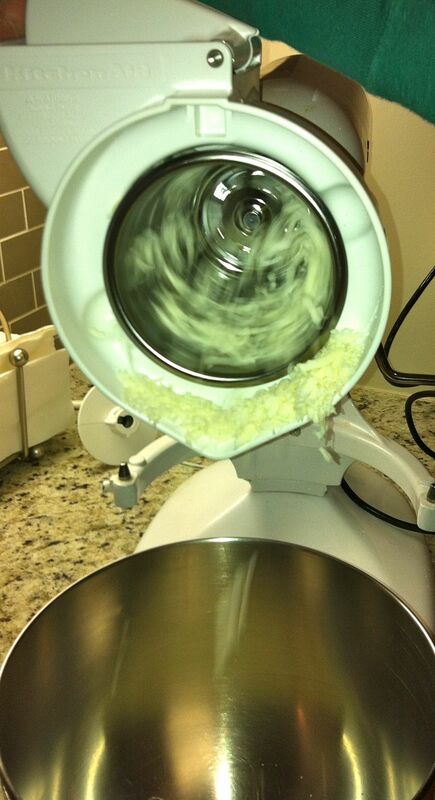 Next I ran the cheese through my cheese grinder attachment on my Kitchen Aid mixer. 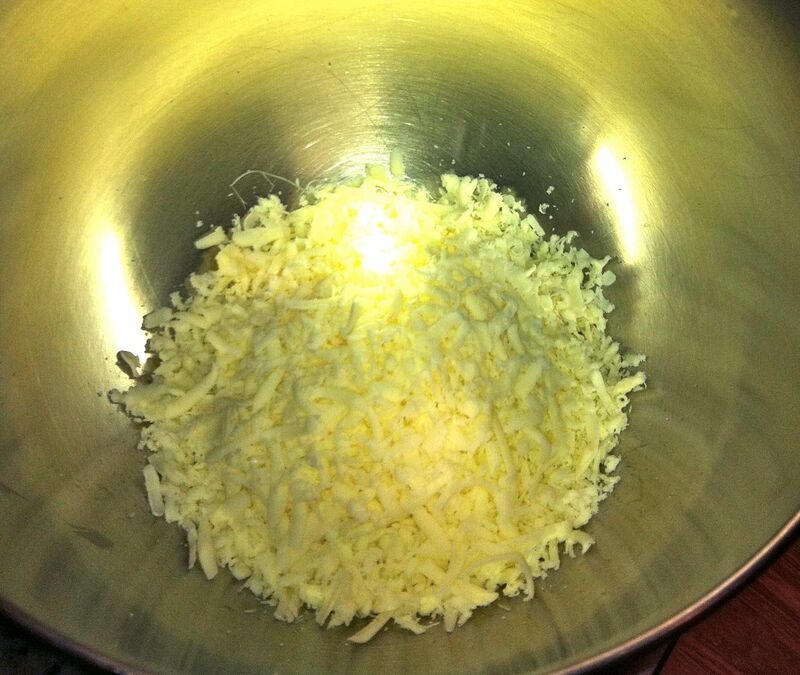 The Silani Mozzarella shredded up well. I’ve had some bad experience with some mozzarella cheeses being too moist and balling up when I tried to shred it. My experiment was done. We added the Silani Mozzarella to our calzones, baked them and enjoyed. 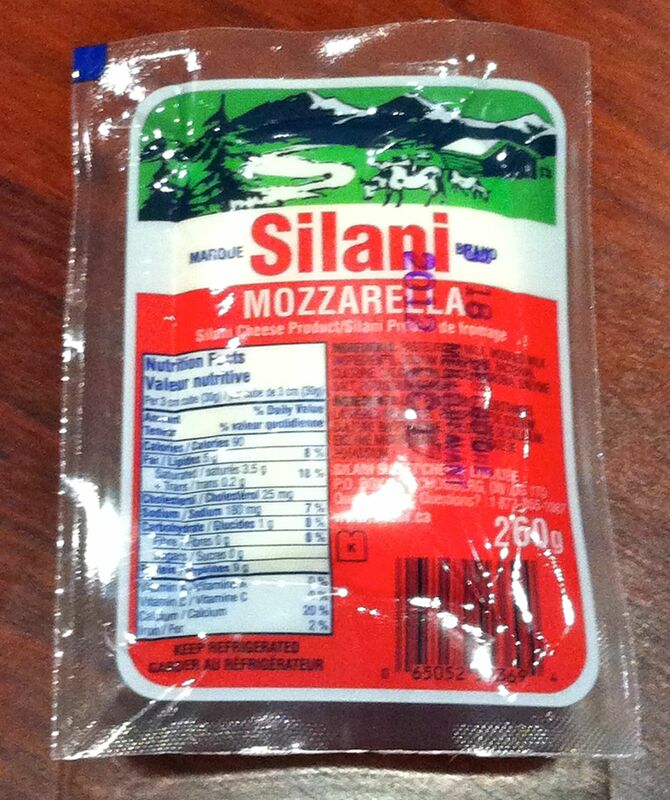 Silani Mozzarella is made in Schomberg, Ontario, Canada. Here is the Silani Mozzarella cheese website. What do I think of Silani Mozzarella Cheese? It tasted good, it shredded well and it was a bargain. It is my benchmark mozzarella until I can compare it to a few other brands of mozzarella. Do you have a favourite brand of Mozzarella cheese?